Reader Question – Ridgid String Trimmer Release Date? is the ridgid grass trimmer out yet. I’m afraid I can not answer your question directly as a Ridgid branded string trimmer has not been announced to my knowledge. What I can say is that AEG which is basically what Ridgid is called overseas is currently offering 18V and 58V cordless string trimmers at the moment. You can learn about their new AEG 18V string trimmer along with 18V chainsaw and leaf blower by clicking here. Essentially if you were able to get a hold of one of those AEG branded 18v tools, they should be compatible with your Ridgid 18V batteries as they are basically the same tools just rebranded as AEG. Understandably it would be very difficult to get a hold of one, however you can get something similar to a Ridgid product today at your local Home Depot store by picking up an Echo 58V string trimmer. Sure it isn’t exactly the Ridgid branded product you were asking for however keep in mind the Echo 58V OPE tools are rebranded AEG 58V tools. 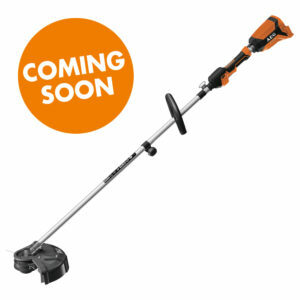 That’s the closest thing you can get to a Ridgid string trimmer today. 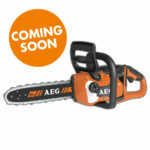 Hopefully TTI can bring those AEG 18V outdoor power tool products here to the USA as Ridgid brand. That’s always a possibility as many of the new AEG power tools eventually become Ridgid branded tools here however that is not always the case. 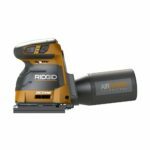 We still haven’t received a Ridgid branded 10 inch 18V Brushless sliding miter saw that was announced as an AEG product well over a year ago. I know this wasn’t the answer you were looking for at the moment but I can assure you that if a Ridgid string trimmer gets announced, I will let you guys know for sure.